The moment is finally here when we unveil the three lucky winners of our Limahl competition! First of all, the all important answers…..
Q1: Which singer provided the female vocal on the English version of my global smash hit single ‘The Never Ending Story’? Q2: Which two groups do I have “on cassette” as mentioned in the lyrics of my current single ‘1983’? Q3: In the video for which single taken from the ‘Don’t Suppose’ album, am I to be seen sporting cricket whites? From a modest start, KajaFax eventually registered an incredible 3,981 views on the competition pages, and received 134 competition entries – a little over half of which were correct. We really are incredibly grateful for each and every person that took the time to enter! Without further ado, may I announce the winners…..
Congratulations go out to all of our winners, who we will be emailing later today to arrange delivery of their prizes. 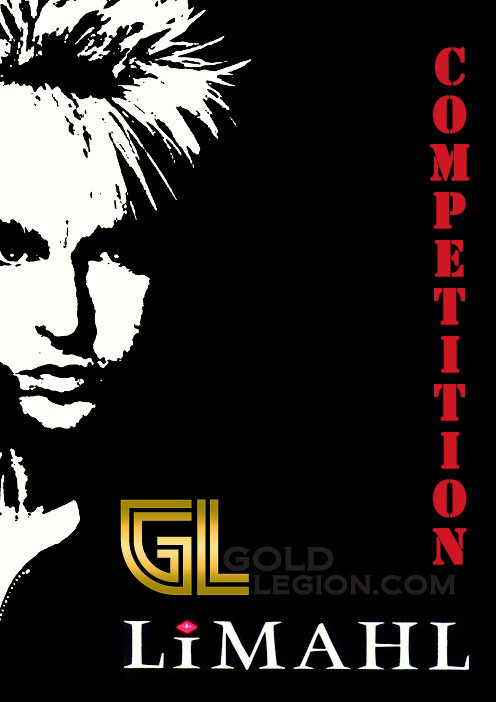 A massive thank you is due to Greg and all of the staff at Gold Legion records, without whom, the competition would not have been possible. KajaFax is run on a zero budget, so the donation of prizes was a massive help for us! Finally, KajaFax extends a HUGE Thank You to Limahl for his question ‘sound bites’ which brought an interactive feel to the competition and made it so much more fun! Great fun as always, we’ re lucky to have you running the site and have us “live” Kajagoogoo daily! Lots more to come too! KajaFax is busy, busy, busy!